Hello there! It’s Ginger from GingerSnapCrafts.com. I am so excited to be back here on the Cricut blog sharing a brand new tutorial & Design Space cut file with you. We only have a month until the last day of school! Isn’t that crazy? This year has flown by! 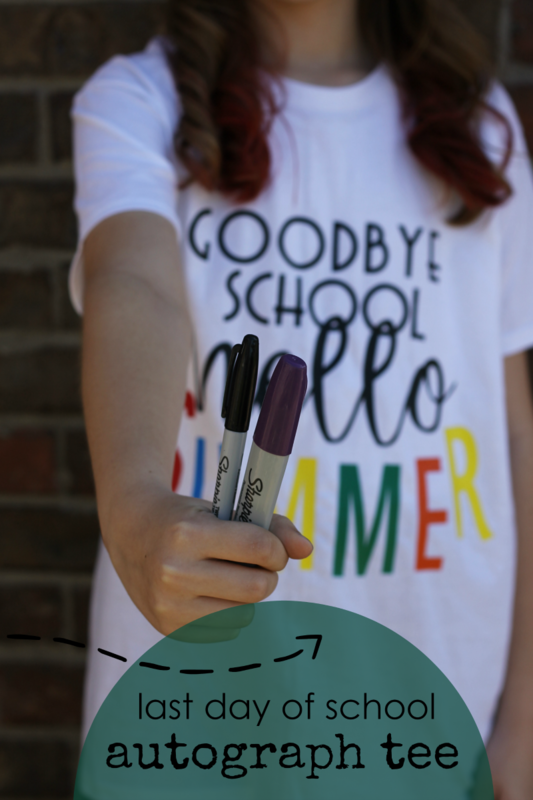 One of our favorite traditions is to make a Last Day of School Autograph Tee. Have you seen them? 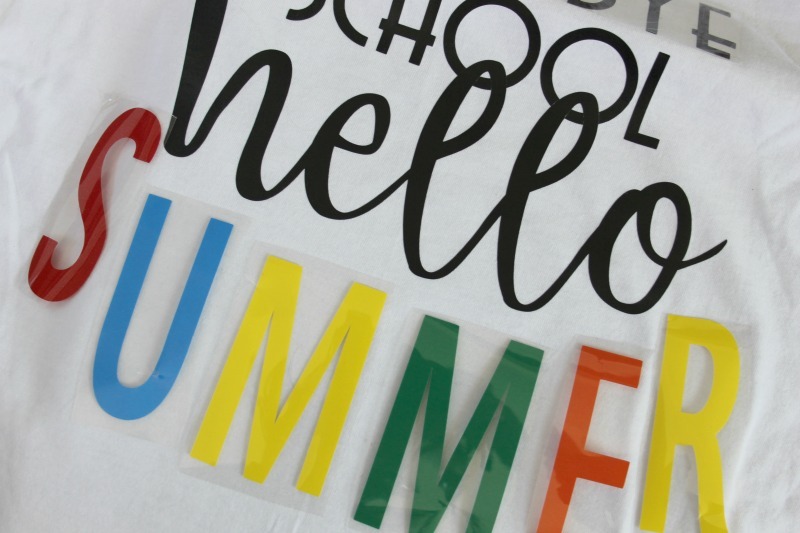 You get a plain white t-shirt, decorate the front with a cute design (Cricut® Iron-on Lite is perfect for this!) and then send your kiddo to school in it along with some permanent markers. The kids then take turns signing each other’s t-shirts. It makes for a fun keepsake for your kiddo! Let me show you how I made this cute shirt. Alright, the first thing I did was go into Cricut Design Space to design my tee. Can I just tell you how much I love fonts? Well, I do! Cricut has tons of super cute fonts. Annnnnd if you have Cricut Access many of the fonts are totally free to use. How awesome is that??!! For this design I used 3 of my favorite Cricut fonts ~ Avenida Com, Babette & Boys Will Be Boys - Block. I love each of these fonts for a different reason. Babette is just a nice, thick script font. I just love it, and I *think* it’s my favorite font ever! I also really love the font Boys Will Be Boys – Block. It just a fun font that doesn’t have to be lined up perfectly. It was the perfect font to use for the word summer. Each letter was cut separately because they are all different colors. I didn’t have to worry about them lining up perfectly when I used that font. Avenida Com is also a fun font. This was my first time using it! Which fonts are your favorite? Remember you can find this exact cut file right here. Now it’s time to cut it out! 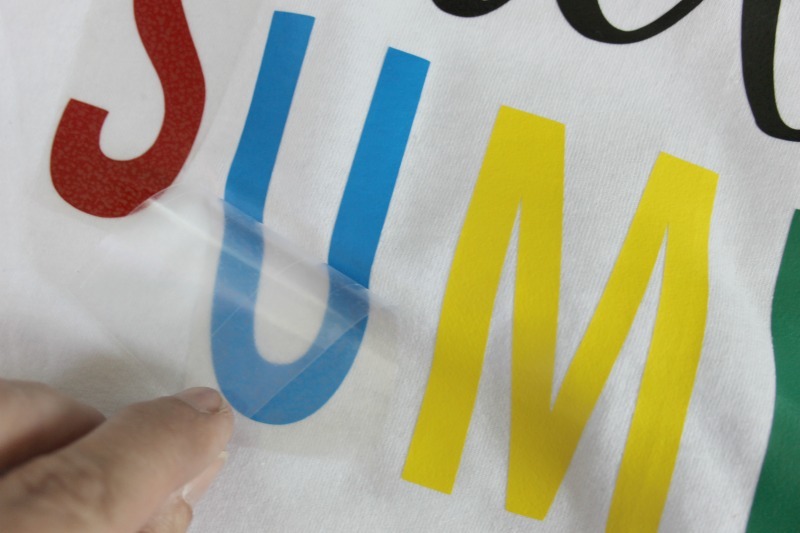 For the next part of the project, you will need your machine, cutting mat & iron-on. 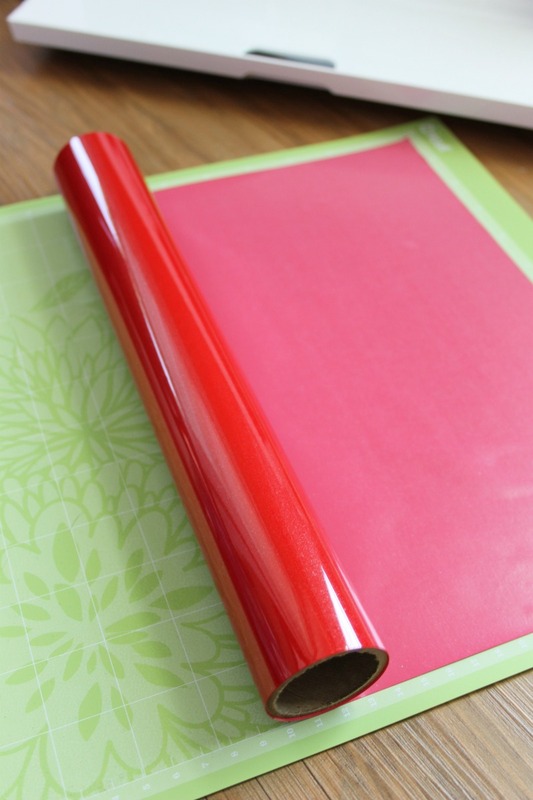 With iron-on, you will place the shiny side of the iron-on face down on your cutting mat. Also, be sure to mirror your image before you begin cutting. This is especially important when you are cutting fonts out with iron-on. 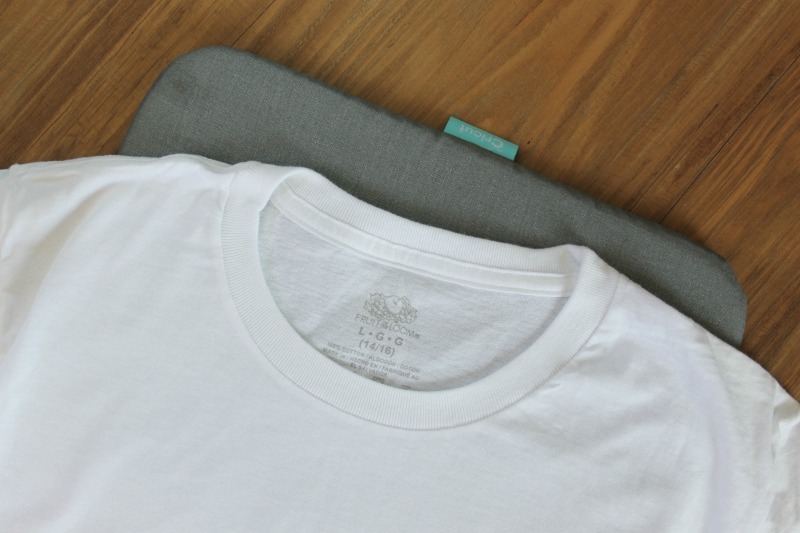 Select iron-on as your material, & then send your project to your Cricut machine to cut out. 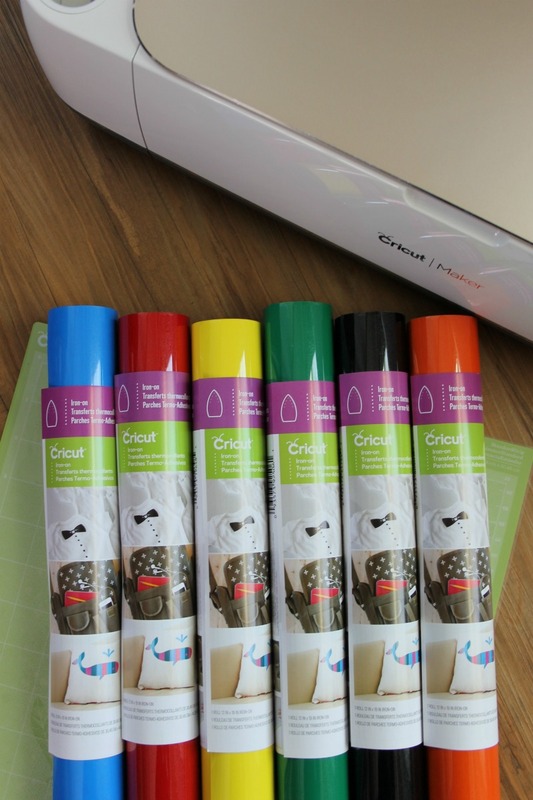 Annnnd just a little plug for the Cricut Maker, I just love how they thought of everything. This little storage compartment is my favorite. It’s the perfect spot to store your tools. 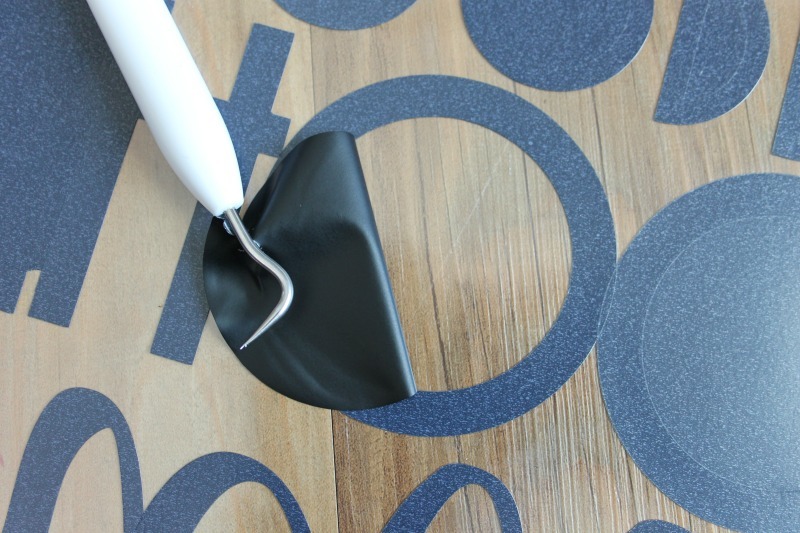 Grab your weeding tool & weed out the excess iron-on, leaving your design behind. 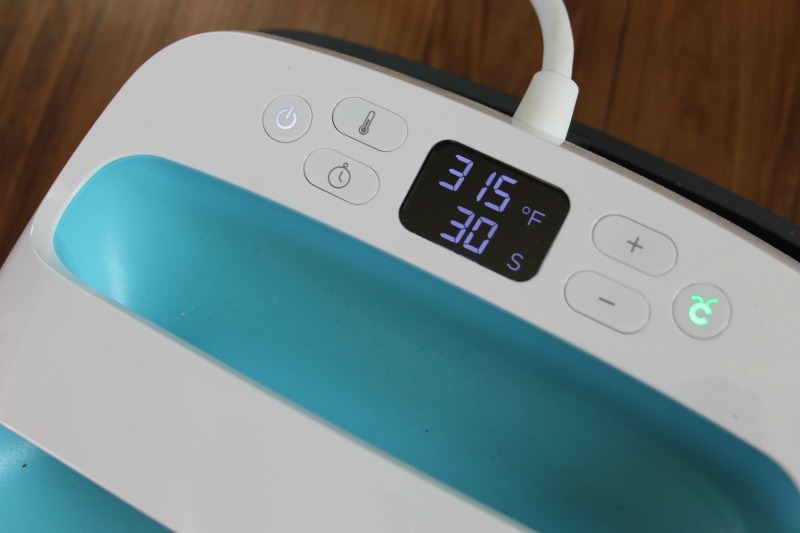 For cotton, using the Lite iron-on you will need to heat up your EasyPress to 315°F, and the timer for 30 seconds. Tip: Bookmark this page to see all the recommended EasyPress settings. The all-new EasyPress Mat comes in super handy for the next step. 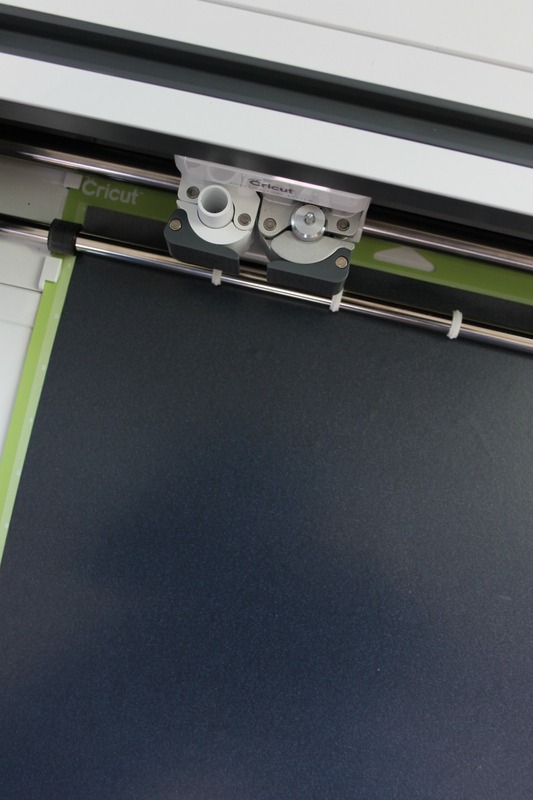 The EasyPress Mat will protect your work surface area & help you achieve flawless iron-on projects. 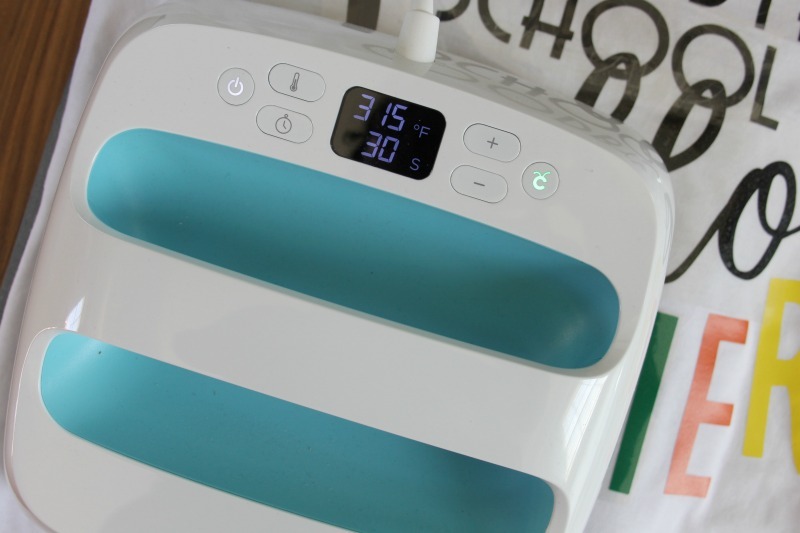 It is the perfect companion for the EasyPress. I put the EasyPress Mat right underneath my tee. Preheat your tee for 5 seconds. 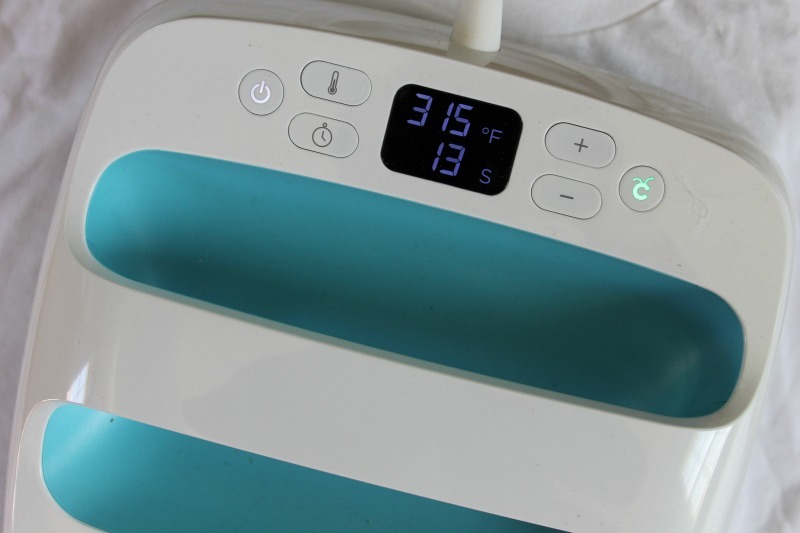 Put your iron-on design in place and then apply the EasyPress for 30 seconds. Leave the liner on & then flip your shirt over and press for 15 more seconds. Remove your liner while warm. This is called a warm peel. Let me show you how it did the word summer. Since each letter was a different color, I had to place them all individually on my shirt. 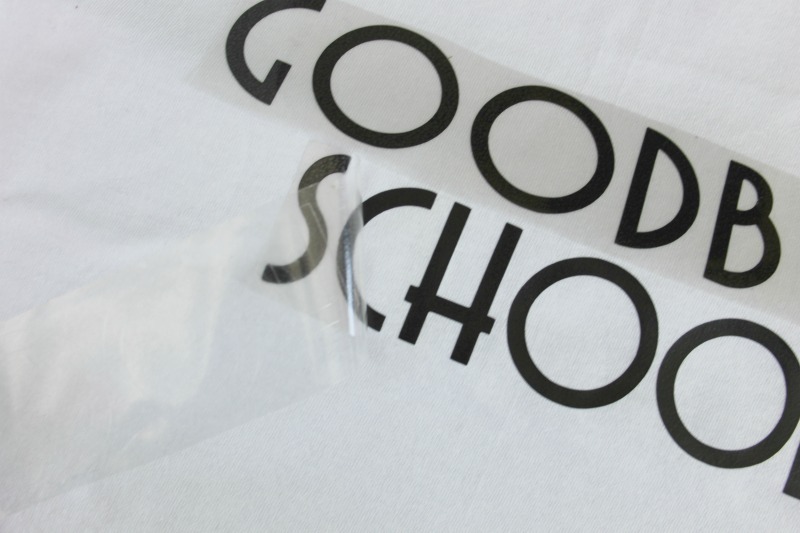 Tip: Before using the EasyPress make sure you put the lining back over the black letters. I had applied them first. They’ll need to be protected from the heat of the EasyPress. Since my design was so large, I had to do 2 or 3 different pressings until I was sure I had everything adhered. I flipped it over & did the back as well. Just like the black iron-on, I used a warm peel to remove the lining from the letters once I was finished with the EasyPress. My daughter can’t wait to wear this cute tee the last day of school & get all her friends' autographs! 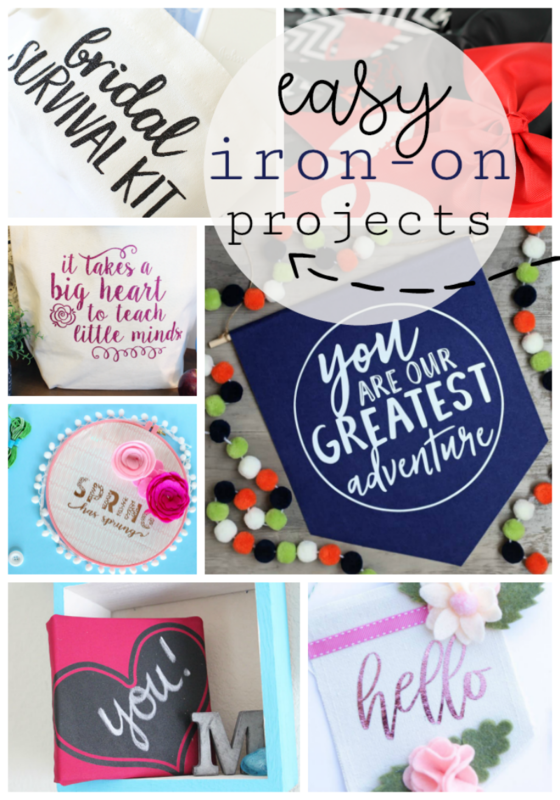 You can find more easy & fun iron-on projects here. 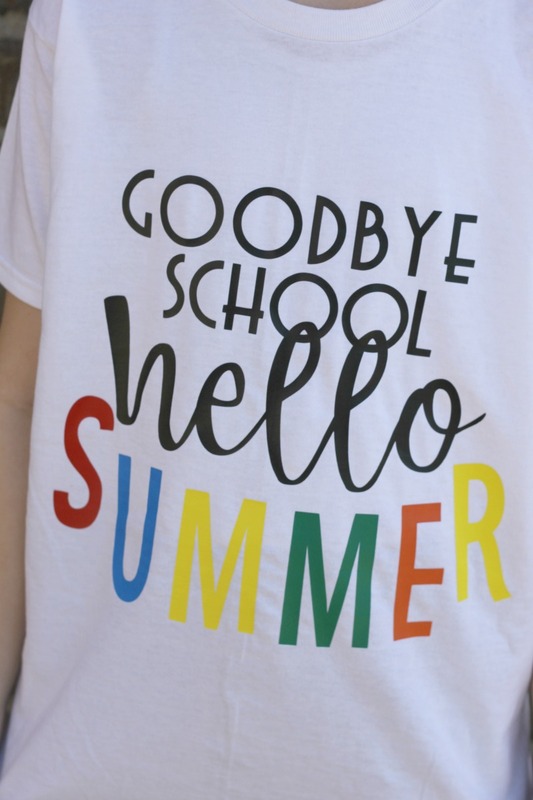 Do you have any fun end of the school year traditions? I’d love to hear! Don’t forget to pin this post for later. I’d love to hear if you make one of these t-shirts!